Sports fanatics living in bay area apartments love hitting the links from time to time. There are definitely some amazing golf courses in San Francisco and other parts of the Bay Area, but you’d be surprised how many people fail to realize that the remarkable Callippe Preserve Golf Course exists. Believe it or not, many golfers look at Callippe Golf Course as their home away from home. Located in the heart of Pleasanton, CA, it’s the perfect course if you’re looking to book a tee time on the weekend, become a member to take advantage of everything this astonishing club has to offer, marry your better half – yes they have weddings here too – and other exciting events as well. Best of all, this course is exciting for a wide variety of reasons. But when you hear other golfers talk about it, you know that this is a somewhat secret course that not many people know about, yet it’s well-maintained, exclusive, and one of the best courses to play in the bay area. Let’s look at some of the reasons why you might consider becoming a member or maybe just stop by to play a single round of golf. The best thing about this course is it’s kind of like a local secret in the area. It’s one of the most exciting courses around, yet it really isn’t all that popular just now because not too many people know about it, so it’s a great place to go play golf without having to worry about the course being overcrowded and slow. Since this course is so close to home when you live in Pleasanton, and it’s relatively secretive in nature since many people don’t know about it, it’s the ideal course to play when you’re looking to grab a quick round or two on the weekend without having to worry about long lines, crowded courses, and an overly busy clubhouse. 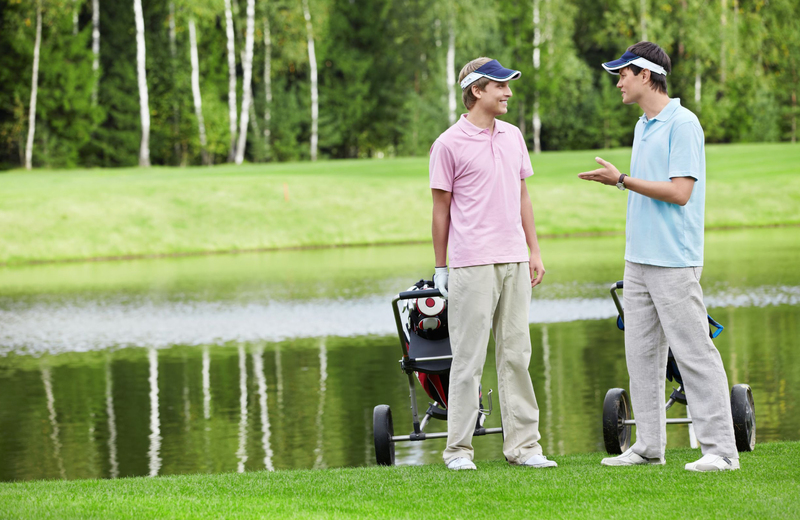 Plus, you’ll probably recognize many of your friends and neighbors playing golf at the time, so you have an opportunity to get together with other people from your community. You can invite friends from your apartment complex, or knock on your neighbor’s door to ask if he or she would like to play a round of golf with you, or maybe even invite your coworkers for a round of golf and then barbecue and drinks at your house after the match. No matter what, you’re going to have a great time if you play 18 holes at Callippe Preserve Golf Course. And best of all, whoever you bring with you is going to have a great time, they’re going to be really impressed with the course itself and the facilities, and they’re going to wish you had told them about this course sooner. Do yourself a favor. Try not to let too many outsiders know about this hidden gem. Otherwise it’s going to get crowded, you’ll have a tougher time getting tee times, and the experience won’t be the same. If you’re concerned that it’s going to be nearly impossible to reserve a tee time at Callippe Preserve, you have absolutely nothing to worry about. In fact, this golf course has made it so easy to get the time and date of your choice that you can simply log on online using your phone or desktop computer, visit the section titled “book a tee time” and then select the date and time best suitable to meet your golfing needs. Some courses in the bay area have not gone out of their way to make getting the ideal time to play golf as simple as they do at Callippe Preserve. So if you’re tired of hoping, wishing, and wondering if you’re going to get the date and time of your choice, wonder no further because you can simply do it online whenever you decide to play this course next. Are you thinking about becoming a Preserve Club or Premium Preserve Club member? If so, you’re going to be happy to know that many wonderful benefits are in store if you join these exclusive clubs. For starters, it’s very inexpensive to become a member as you are about to find out. In fact a regular Preserve Club membership only costs $199. And to join the Premium Preserve Club and become a member, it’s only going to cost you $279 for the entire golfing season. As a member of the Preserve Club, your membership grants you to free rounds of golf that you can use any time, $10 off weekend prime time rack rates before twilight, $5 off weekday prime time rack rates before twilight, our early twilight and super twilight rates, seven days a week, 5 free medium-range buckets, 20% off non-sale merchandise, 10% off restaurant purchases, and more. On top of that, if you join the Premium Preserve Club, you’ll receive all of the benefits above plus 5 free cart fees that are $75 value, 5 more medium-range buckets worth $40 in value, and a dozen Pro V1 golf balls worth an additional $55 in value.